Among the lesser known payment services in the online gambling industry, we find EasyEFT. This online banking solution has been on the rise in the South African online gambling scene and is reaching new levels of popularity with every single year. Though relatively unknown, a significant number of online casinos have extended their support for this payment method and South African gamblers are starting to warm up to it. In this review, we will take a look at what makes EasyEFT an attractive banking solution and how it fits in the online gambling industry. 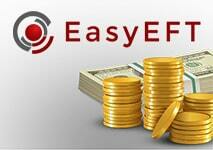 EasyEFT is an online banking solution developed for the South African market. It was designed with the intention to make transactions between customers and online retailers easier. At some point, the gambling industry took notice of the service and since then multiple gambling websites have incorporated it as a deposit method, allowing players to move funds directly from their bank account to their casino balance. EasyEFT is not an eWallet or a credit card company. It does not hold balances for users, but will rather conduct the transactions on their behalf. EasyEFT serves as a man-in-the-middle, connecting both parties, making sure that the payment process is simple and convenient. This also allows you to make instant deposits to your online casino balance and start playing immediately. Like most other online banking solutions, EasyEFT requires no registration of any kind, nor do you need to have a bank card issued by the service. Instead, you connect the service to your personal bank account every time that you wish to make a deposit or a withdrawal. It is an entirely simple process and you do not need to bother with remembering passwords or setting up an account. The service will be available on-demand wherever it is supported and you will be able to use your bank account balance to manage your online casino bankroll. Depositing via EasyEFT is not difficult at all. To successfully make a payment, all you have to do is head over to the cashier page and look at the available deposit options. When you find the EasyEFT option, select it and continue. When this happens, a pop-up window will come up and you will need to enter the amount that you wish to deposit. After that, you will need to select your bank and then enter your online banking login credentials. Having done that, all you have to do is log in and confirm the payment. Your deposit will go through instantly and you will be able to immediately start playing with your money. When it comes to making a withdrawal, you may or not have the option do it via EasyEFT. Support for withdrawals is not as solid as one would expect, but despite that certain gambling websites offer that option. If it applies to your online casino of choice, you need to go to the cashier page and look for the EasyEFT withdrawal option. From there, you enter the amount you wish to cash in and select your banking institution. After that, you enter your bank login information and confirm the transaction. Withdrawals via EasyEFT take longer than deposits in any case. Typically, it will take the processing time of a normal bank transfer, which can be up to several business days. Of course, the casino will likely take a day or two to first review the transaction and only then will management send the transaction. Not using a mobile device in today’s world is not really an option for many people. Online gamblers have also taken to playing their favorite games from their smartphones or tablets. As a result, many payment method providers have had to adapt their service to be usable on mobile platforms. Where EasyEFT is concerned, there is no need to be concerned about whether you can use it on your mobile device to make payments. 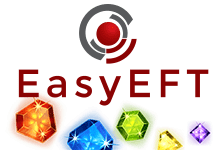 EasyEFT is available in its full form on both Android and iOS, allowing you to make the best out of your mobile gaming sessions. 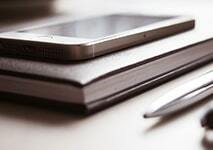 The process of making payments from your mobile device is not all that different from doing it on a desktop computer. The only difference is that you type in information with a virtual keyboard rather than a physical one. The transactions still process at the same speed and the costs are not different. As far as the cost of using EasyEFT is concerned, you do not have anything to worry about. Unlike many other payment solutions currently available on the Internet, EasyEFT does not charge you a penny to use. The service is completely free of charge on the users’ end of things and this is one of its greatest perks. EasyEFT typically charges the stores and merchants, or online casinos in our case, for the cost of the transaction. As such, you will not need to worry about deposit fees or commissions. Granted, your bank may still charge you for sending a payment, but that has nothing to do with EasyEFT. In terms of cost, this service is one of the most efficient out there and you should seriously take this into account. If you are a privacy-minded individual, there is nothing to worry about when using EasyEFT for the purposes of online gambling. 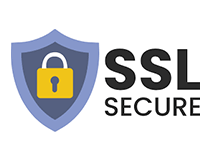 Where security is concerned, this payment service will protect your identity from both the online casinos and any potential wrongdoers. When you make a payment via EasyEFT, the casino has no way of knowing your identity or your bank details. The transaction is handled by the service and from the casino’s end, it looks like it came from EasyEFT. Therefore, you do not need to reveal any of your personal information before you are ready to. As for the security of the service itself, you are safe on that front, as well. EasyEFT does not keep records of your login information and the service is available on an on-demand basis. Moreover, there are also stringent encryption systems in place to prevent any potential data leaks. On a final note, every payment made via EasyEFT also involves your banking institution. Therefore, not only do the security features of EasyEFT come into play, but also those of your bank, which is as safe as you can get in today’s world. When it comes to using EasyEFT there are certain advantages that will make your life easier in a certain sense. While it also comes with a few disadvantages, as well, we will first focus our attention on the positive aspects of this online payment services. The first and most useful aspect of EasyEFT is that you can make instant deposits to your online casino balance. As such, you can get down to gambling your money almost immediately. The lack of downtime makes this payment services quite convenient and efficient to use. Unlike bank transfers, which can take up to several days to clear, EasyEFT transactions are instantly processed. It cannot get better than this and we are sure that you will appreciate it. Another excellent feature of EasyEFT is that it is completely free of charge, which is not as common as one would expect. Even popular services like Skrill and Neteller still charge you for making payments. Over time those pile up and you end up paying quite a lot in transaction fees alone. That is money that you can use to play your favorite games that would typically go to the payment service provider. However, EasyEFT allows you to save that up and tup it to better use. Something else that you should take into account regarding EasyEFT is that the service is very easy to use. You can make a payment with only a few clicks after entering the appropriate information. There is no registration procedure and you do not need to go through any verification process. All you need to do is put in your banking data, confirm the transfer, and the service will handle everything for you. While online payment solutions have come a long way since they were first introduced, many customers still have to deal with the unfortunate aspects of those services. However, EasyEFT gives you easy access to your money without having you jump through hoops. It is worth using this payment method for this reason alone. The last advantage that we would like to bring to your attention is that EasyEFT does not impose any transaction limits on you. 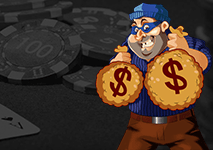 While this does not really affect casual players, high rollers will certainly appreciate this as it will allow such gamblers to deposit as much as they like. Of course, the banking institution’s and the casino’s transaction limits will still apply, however. In any event, no limits are better than any limits. Of course, when one uses an online banking solution, security should always be a major concern. Luckily, EasyEFT is just the right service to use if you wish to keep your banking information private. As we have already mentioned, EasyEFT works as a mediator of the payment and will protect your banking information from the recipient. When you deposit to your casino balance, the gambling website will not know your details, as the only information shown on the transaction form will not include your name, your bank account number or other relevant information. Of course, no service is perfect and there are bound to be some disadvantages. Having explored the benefits of EasyEFT, it is time we take a look at the disfavorable aspects of the service. Granted, there is not much that is inherently wrong with this payment method rather, most of these issues are due to outside factors. Regardless, they will affect your experience one way or another, thus it is important to know about them before you try to use the service. The primary issue that you will find in the online gambling industry when choosing to use EasyEFT is that the service is not the most popular out there. As a result, not many online casinos will support this service and you will be limited to a select number of gambling websites. This is not something that many players will appreciate and many will likely prefer to use a different payment service. It is a Catch 22, where EasyEFT is not popular because it is not supported and it is not supported because it is not popular. Another downside that you should know about is that EasyEFT is only available to people residing in South Africa and those who have an account with a banking institution supported by the service. This severely limits the potential of this payment method and also plays into the above-mentioned problem. Unless you have a South African bank account, you will not be able to utilize EasyEFT and will have to resort to a different payment solution. As if that is not enough, certain casinos that do accept payment via EasyEFT will not extend that support when it comes to withdrawals. This is often the case for unpopular payment methods and it is a struggle that many gamblers are familiar with. Though unpleasant, this is not unexpected. EasyEFT is primarily designed with making one-way payments to online retailers and its use in the online gambling industry was not anticipated. If you ever come across such an online casino, then you will have the opportunity to receive your funds via old-school bank transfer. The transaction will not take longer to clear, however, you will lose out on the privacy benefits you have when depositing. Will I have to verify my identity when using EasyEFT? As with any online gambling website, you will be asked for proof of identity at some point down the line. Likely, this moment will come when you ask to cash in your bankroll. You will be asked to submit some form of government-issued ID, drivers license, etc. to prove who you really are. This is common practice in the online gambling industry and is the only way to prevent certain illegal activities, such as underage gambling or money laundering, among others. What currencies does EasyEFT support? Given the fact that EasyEFT is targeted towards the South African market and is only usable by customers with a bank account in the country, it is safe to say that you can only make payments in ZAR. Unfortunately, this is the only currency supported by EasyEFT and if you wish to deposit in a different one, you will need to resort to a different payment method. If I cannot make a withdrawal via EasyEFT how can I receive my funds? 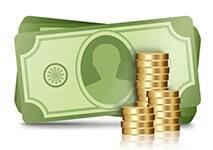 In the event that you make a deposit via EasyEFT but cannot withdraw your funds in the same manner, there are alternative options that you can use to solve this problem. This issue is not unique to EasyEFT and there are many services that can only be used to make payments one way. In such a scenario, the online casino in question will offer you the possibility to cash in your money via traditional bank transfer. You will need to provide the appropriate information for the casino management to make the payout and you will likely have your money within a few days. Can someone misuse my funds via EasyEFT? EasyEFT does not grant immediate access to your bank account straight away. As we have covered above, first you need to enter your online banking login information to gain access to your money. Due to this, your funds are only as safe as you protect them. As long as you keep your online banking login details private, there is no way that someone can use EasyEFT to steal your funds. Overall, EasyEFT is a worthwhile method with both positive and negative sides. Strictly as a payment service, EasyEFT can stand toe to toe with the best of them and even surpasses many of the commercially available ones. Not only does it not bother you with registering but the service also does not charge you a penny for using it. EasyEFT requires nothing on your end and this is not commonly seen where payment services are concerned. Moreover, it allows for instant deposits, which is a huge step up from traditional bank transfers. Regarding its place in the online gambling industry, however, not everything is as rosy. Low support on the side of online casinos and the fact that EasyEFT is strictly limited to South Africa make it less than ideal. Even customers residing in the country may not see the benefit of this payment method if their online casino does not support it. All in all, if you have the opportunity to make use of EasyEFT for the purposes of online gambling you should take it. If not, there are plenty of other services out there that you can put to good use.